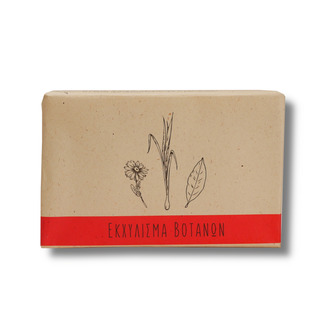 Vio.Me soap from Greece. Vegan and free from animal testing. Vio.Me products (aka Bio.Me) are produced in an occupied factory in Thessaloniki, Greece. The factory was abandoned by the former owner in 2011, leaving the workers and unpaid wages behind. The workers decided to occupy the factory and run it under direct democratic worker's control. In 2013 they were able to continue production. We decided to support the workers in their struggle by distributing a wider range of their products. Vio.Me products are vegan and free from animal testing. As you can see when you read the list of ingredients - it's quite short compared to the stuff you know from the drugstore. They decided to produce only natural and environmentally friendly products, without tensides and other additives. The factory originally produced construction materials. But after the occupation the workers decided to produce 'solidary' products - like environmentally friendly cleaning agents. Doing this they're able to run the factory and to enable their families to persevere physically and mentally. In order to run the factory on a legal basis for suretyship they established S.E. VioMe - every worker is a member of the cooperative. Decisions are made every day in their assemblies. Their products are meant to be sold to individuals and collectives that feel connected with the Vio.Me worker's struggle. But Vio.Me still can't be run cost-covering. So the workers will be happy about your support because they have to fight in court for their right to own the factory and to run it without having to pay the debts the former owners left behind, for example. So please tell others about Vio.Me, organize solidarity or donate money to support them. Please note: The supplier of palm kernel oil is RSPO-certified, and Vio.Me and we know that this is better than nothing - but not a big achievement. Vio.Me is aware of the problems that come with palm kernel oil but they don't want to use substitutes like soy bean oil, for example. Soy bean oil is usually made of genetically modified plants. In the end we think that the way of production matters the most. This is not the end and we'll have to continue discussing that topic.